Vanderbilt Hall, is opening its doors on Sunday December 5, as part of the Christmas in Newport celebration that takes place throughout December. Built in 1909 by Alfred Gwynne Vanderbilt, Vanderbilt Hall, was transformed this year by Peter de Savary into a luxury hotel, members club and spa. A Gilded Christmas Celebration is a free event that is open to the public, that will incorporate an element of Vanderbilt history by having The Vanderbilt Hall Cigarette Girls on hand to serve house-made Christmas cookies to visitors. Cigarette Girls? At a non-smoking hotel and spa? Amy Vanderbilt who passed away in 1974, was an American authority on etiquette. In 1952, she published her best-selling book Amy Vanderbilt's Complete Book of Etiquette which is still in print today. Its longtime popularity has led to it being considered a standard of etiquette writing and between 1954 - 1960 she hosted the television program It's in Good Taste. 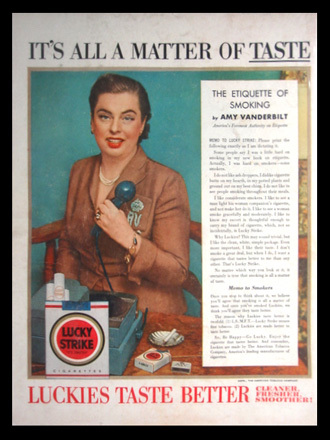 In a demonstration of how much times have changed, Ms Vanderbilt appeared in an advert for Lucky Strike Cigarettes entitled It’s All A Matter of Taste. 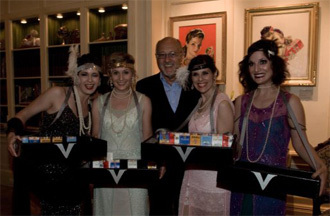 The event will in part pay homage to Amy Vanderbilt, with the “Cigarette Girls” serving pastries rather than cigarettes. Spa director, Allison Schumann, will be giving complimentary chair massages and various Newport vendors including Three Golden Apples, Royal Male, Island Outfitters / Pink Pineapple, J. McLaughlin, The Linen Shop, Isoude, Brahmin Bags and Onne Van der Wal Gallery will be showcasing their products which will be available for purchase. 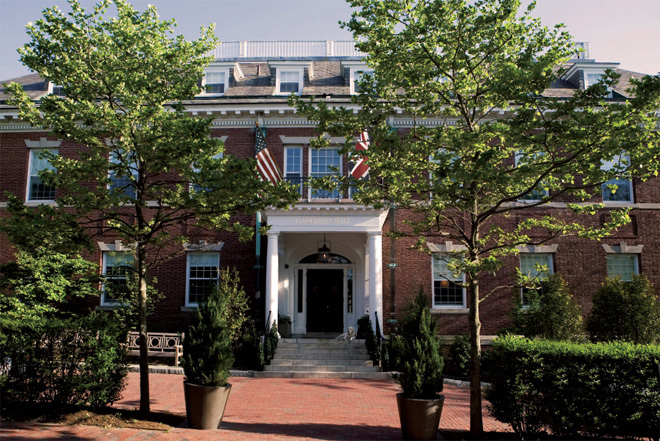 Tours of the mansion will also be provided (at no cost), with special emphasis on Peter de Savary’s art collection from the Museum of American Illustration Art. This fun holiday event, will be a “must see” in Newport this holiday season. 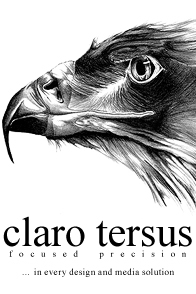 Sunday, December 5, 2010, 11AM - 5PM, rain or shine.